Last week, while the Dusk Till Dawn in Nottingham has been buzzing with the holding of the WPT United Kingdom, other European poker enthusiasts met in Vienna for the Mega Poker Series 2014. The  770 Main Event of this step 3 of the MPS Season 3 held in the poker room of Poker Royale Card Casino in Vienna was won by the local player Fedor Holz after a final heads up with his compatriot Peter Fally. Holz started the heads-up with a margin of 2 to 1 in chips. He was never in danger throughout the duel and pin his opponent after a little bit more than 30 minutes. 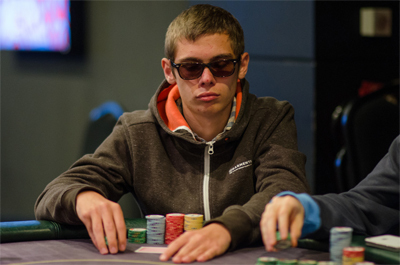 Fedor Holz is a famous online poker player under the pseudonym "GrownUpGuy" with which he won a few weeks ago the 2014 WCOOP Main Event. He signs here his first live victory for  30,900. Peter Fally is at the second place and pocketed  22,180. The podium was completed by the German Sascha Ranzinger who was awarded  18,600. Many players of different nationalities mingle in the Top 10, namely the Austrian Gerald Karlic (4th,  14,310), the Bosnian Slavisa Radakovic (5th,  10,730), the Polish Robert Kacinski (sixth,  7,440) Jacek Pustula (7th,  5,430), Szymon Bujok (10th,  2,710), the German Sebastian Langrock (8th,  3,570) and the Czech Jan Hnilicka (9th,  2,710).